Jabra is known for its hands-free speakers and wireless phone headsets, so last year’s release of the Elite Sport Truly Wireless Headphones ($250 MSRP) wasn’t a surprise. The company’s first stab at truly wireless earbuds is geared entirely for athletes, with features like a built-in heart-rate monitor and sensors for tracking running and other high-impact exercises. Unfortunately, the Elite Sport doesn’t possess the same level of audio quality you’ll find in other Jabra products. It’s all the more frustrating because what could have been an amazing set of earbuds is held back from greatness by minor issues. 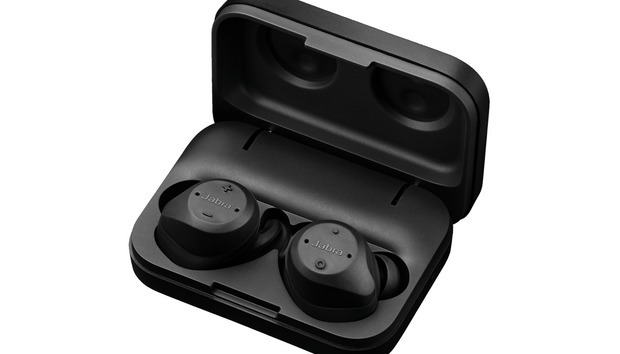 At 1.06 by 1.18 by 0.9 inches in size and weighing in at 0.23 ounces per earbud, Jabra’s Elite Sport True Wireless Headphones are amongst the beefiest truly wireless earbuds that we’ve reviewed so far. 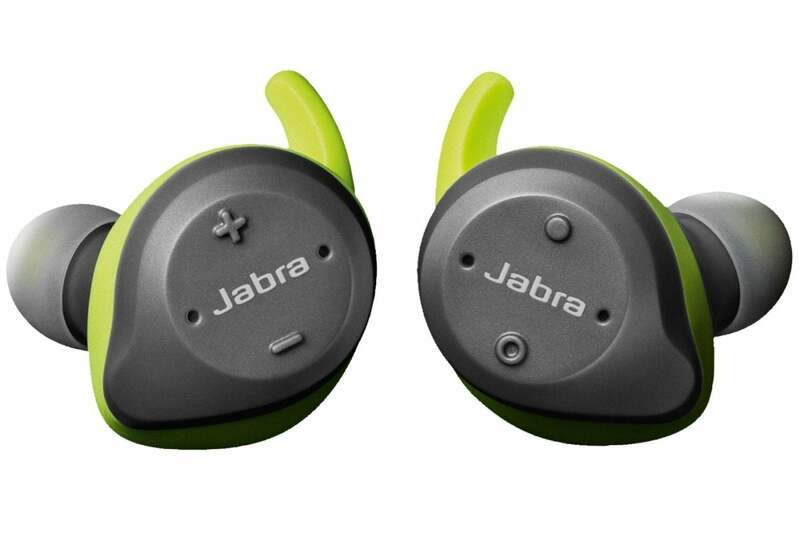 Though the earbuds’ stout dimensions make them less likely to fit in a wide variety of ears, Jabra goes to reasonable lengths to make them more wearable. The Elite Sport ship with three different sizes of silicon ear wings to keep them in place, and you also get a trio of silicon and foam ear pieces in small, medium and large sizes to help create a good seal. However, despite finding a suitable combination of ear fins and ear pieces, I found that the earbuds became uncomfortable to use after an hour of having them jammed into my head. For someone who listens to hours of music a day, this could be a dealbreaker. To be fair, though, these true wireless headphones weren’t built for that. As their name implies, the Elite Sport were designed with athletes in mind. For anyone who wants a pair of truly wireless headphones to take to the gym, an hour’s worth of comfortable wear could be more than adequate, especially in light of all the health-minded perks baked into these earbuds. In addition to the drivers, battery, radio and control hardware packed into the Elite Sport, they also come with a complete suite of heartbeat and accelerometer sensors to help you schlep your way towards a healthier body. These athlete-focused features work pretty well. The heartbeat sensor could track my heart rate with a reasonable amount of accuracy—though it wasn’t quite as accurate as an Apple Watch can be. That said, this could be due to how well the earbuds were seated in my ears, as the sensors require good skin contact in order to work correctly. The accelerometer is a different story: Its tracking of my steps while jogging and walking were accurate. Better still, the Elite Sport can accurately keep track of how many reps you’ve completed of a given exercise through Jabra’s free SportLife app. The app can also track your run, rate the progress of your fitness, and push you to outdo your last workout. For those who like (or tolerate) running in the rain, you’ll be happy to note that these headphones come with an IP67 rating—they’re built to withstand being dunked in 15 cm to one meter of water for up to 30 minutes at a time. Jabra is so certain of the Elite Sport’s resilience against liquids that they offer a three-year warranty against damage caused by sweat. 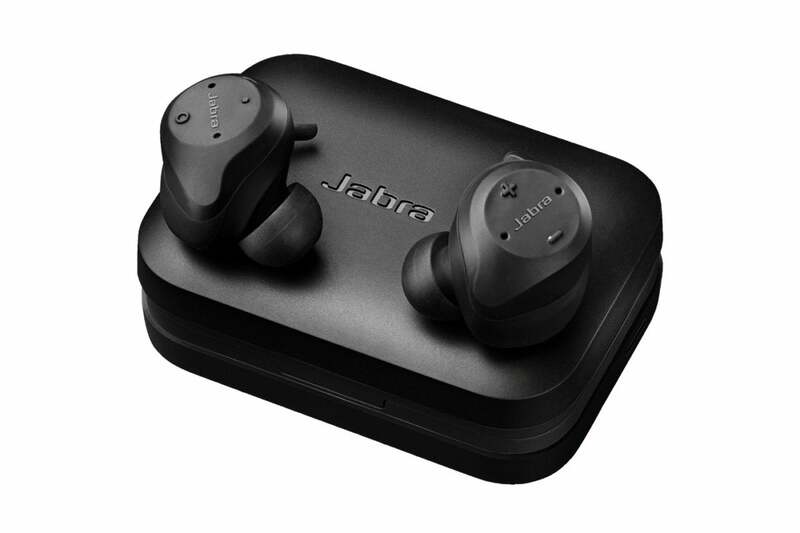 Jabra claims that the earbuds will operate for 4.5 hours on a single charge, with an additional two charges available via their charging case. During my testing, these numbers turned out to be fairly accurate. When you’re working out in a busy gym or doing roadwork, situational awareness is important for your personal safety. To ensure that you can hear your surroundings, the Elite Sport allows you to use its built-in microphones to bring outside audio into your ears. I’m not a fan. Though the feature is optional and can be toggled on and off at will, activating it removes all sense of how close the source of a sound actually is. It also degrades the quality of the music that you’re listening to. If situational awareness while you work out and great audio are important to you—and you don’t mind forgoing the Elite Sport’s sensors—consider picking up a set of Bose SoundSport Free. They offer superior sound and passive situational awareness in a waterproof package. When you’re not using audio transparency, you’ll find that these earbuds offer a good level of thumping bass—a must-have for any set of athletics-oriented headphones. However, I did find that the heavy bass took away from the enjoyment of listening to music when not powering through the final minutes of a workout. High-frequency sound always found a way to shine through, but much of the mid-range audio of the music I tested with was lost. This less-than-stellar sound stage leads me to suggest that music lovers might want to consider having a second set of headphones for when they’re not headed to the gym. The Jabra Elite Sport truly wireless headphones are an exceptional workout companion for anyone looking to track their fitness and listen to a few tunes along the way. However, their bass-heavy audio and reliance on audio transparency to provide adequate situational awareness for runners make them a less ideal choice outside of the gym.